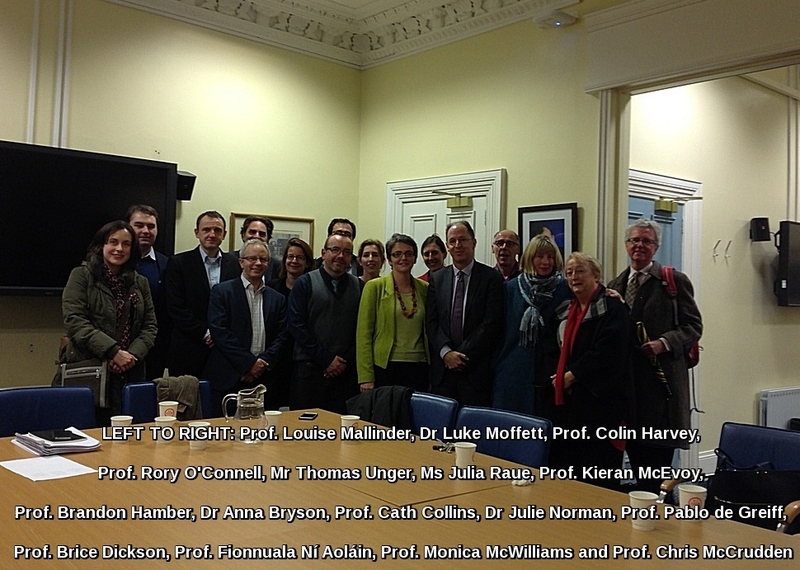 Professor Kieran McEvoy, Professor Louise Mallinder and Dr Anna Bryson yesterday met with UN human rights expert, Pablo de Greiff at Queen’s University. They were joined by ten other transitional justice scholars who wished to explore with de Greiff current efforts to address the legacy of the Northern Ireland conflict. “With the adoption of the Stormont House Agreement in 2014, important new opportunities were created to address the ‘legacy issues’ of the Northern Ireland conflict,” said the Special Rapporteur on the promotion of truth, justice, reparation and guarantees of non-recurrence. 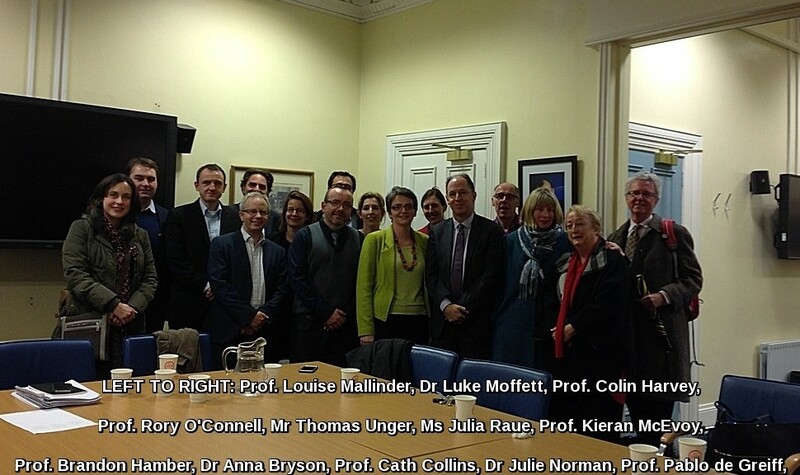 Mr. de Greiff, who is visiting at the invitation of the United Kingdom government, is also scheduled to meet, at both the national and devolved levels, with Government officials, representatives of the legislative and judicial branches, law enforcement officials, a broad range of victims and civil society actors. He intends to hold hold a press conference in London on 18 November 2015 at which preliminary findings and recommendations will be presented. A final report on the visit will be presented to the UN Human Rights Council in September 2016.